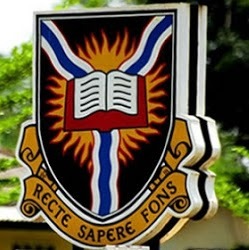 How much is University of Ibadan current school fees? Today, I won’t only be writing on the above topics, but will also be writing on the University of Ibadan Acceptance fee and part-time school fees schedule. Please note that the UI school fees schedule for new students for 2019/2020 academic session as seen below has been broken down into different levies and charges and these fees are compulsory fees which are payable by all newly admitted students in all levels, irrespective of the faculty. The above school fees are for 100 Level students of UI only, the fees include levy, other charges and accommodation fees put together. The inclusion of Vocational Skills Acquisition Programme Fees of N10,000.00 for all Adult Education Students for 200, 300, and 400 level as mandated by the National Universities Commission (NUC). All newly admitted students should take note that there is a Counseling Support Fee of N1,000.00 for them. If you have any question, inquries about the UI school fees, then don’t hesitate to use the comment box and reach out to us, we’ll be delighted to be of help to you.